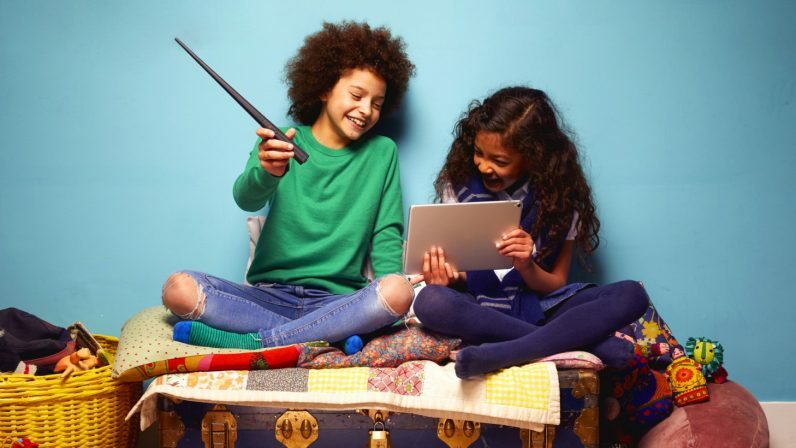 Kano, which is best known for its line of build-it-yourself computer kits aimed at children, has announced a partnership with Warner Bros, and a new Harry Potter wand toy that teaches STEM skills. How, exactly? Well, the journey starts from the moment you open the box. The wand toy requires assembly, and comes with a gorgeously designed booklet that shows how it works, from the accelerometer to the gyroscope. Then you connect it to your computer, and the fun starts, as you begin completing programming challenges in the Harry Potter universe. The Kano Harry Potter wand toy works with Android, iOS, Windows, and MacOS. Users invoke spells with the wand. Some will be immediately familiar to any die-hard J.K. Rowling fan, like Wingardium Leviosa (or, as Hermione said, Win-gah-dium Levios-ar) and Accio. The real fun comes when you make your own. I got a chance to sit through a demo with company co-founder Alex Klein, who showed me how to use code to spawn items, experiment with particle physics effects, and move objects around by playing with gravity. The wand toy retails at $99 (or £99 in the UK), and is available to pre-order now. That’s a fair few galleons, and not exactly pocket-money priced, but still very much within reach. Interested punters can pick one up at the Kano website.